Pakistan’s agriculture sector forms the backbone of the economy, generating not only 21 percent of the GDP directly but also feeds large-scale industries such as textiles and agro-based SMEs. It accounted for 16.5 percent of country’s exports in 2012 and employs 45 percent of the country’s labour force. The informal credit market is active and vibrant in Pakistan and serves the needs of farmers in this sector. The financiers in this market are referred to as the “arthis”, or wholesalers. Deeply embedded in the agricultural supply chain and spread across Pakistan, this network of arthis ranges from small local village level operators to rich, large wholesalers. In Punjab, the arthi remains the largest source of informal credit for agriculture. He successfully lends to the segment considered risky and not credit worthy by banks. In order to generate some outside-the-box thinking on the issue of linking banks to the small farmer, this scoping study take a close look at the arthi system in Punjab to understand the arthi’s role in the agriculture supply chain by mapping his network and linkages, understanding his operations, finances (such as sources of funds, interest rates, costs and profits) and risk management techniques. This study shows that the traditional banking model is far removed from the needs of the farmer and is not structured to be cost-effective. Although the arthis have mastered the art of lending to this market, they still encounter issues of scale. 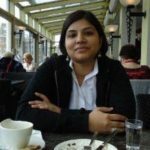 The authors suggest testing a model involving an ‘intermediary’ that would connect the bank to the clients and play the role that the arthi plays, with value-added services (such as access to latest farming techniques, modern farm equipment, and inputs that can help increase yield and productivity). The value-added service relating to farm efficiency and productivity would further reduce the credit risk. Insurance against catastrophic risks (such as floods or pest attacks) would need to be built into the model as these tend to be the only systemic threat. Possible intermediaries could be the arthi themselves, or private firms that provide these services. If success can be demonstrated, it can have tremendous implications in terms of not only attracting banks into mainstream rural finance but also spurring economic growth through higher productivity and efficient use of capital in the agriculture sector.